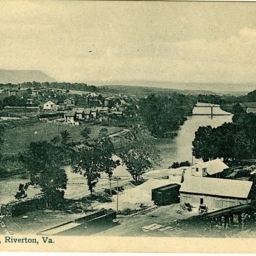 Postcard with a picture of the Lime Works that existed in Riverton Virginia. 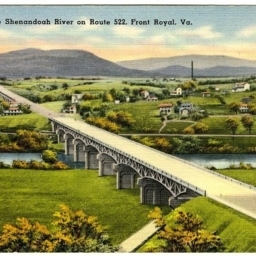 Color postcard with a picture of the Route 522 Bridge that crosses the Shenandoah River at Front Royal Virginia. 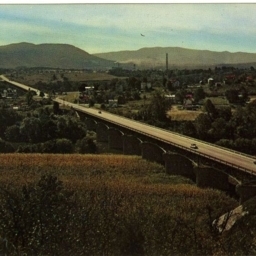 Bridges over the Shenandoah River on Route 522, Front Royal, Va.
Postcard with a picture of two bridges spanning the Shenandoah River where its two forks converge near Riverton Virginia. 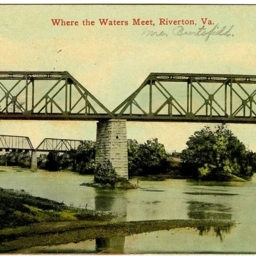 Where the Waters Meet, Riverton, Va.
Color postcard showing the bridges that cross the Shenandoah River where its two forks converge near Riverton Virginia. 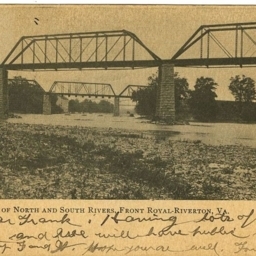 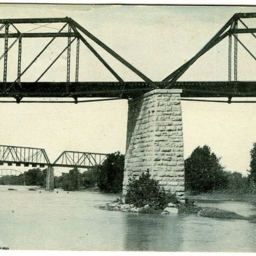 Confluence of North and SOuth Rivers, Front Royal, Riverton, VA.
Postcard showing the bridges that cross the Shenandoah River where its two forks converge near Riverton Virginia. 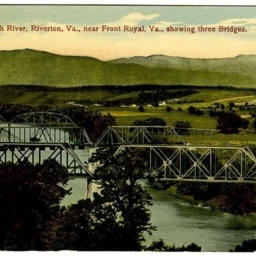 Shenandoah River, Riverton, Va., near Front Royal, Va., showing three bridges.